This is the calm before the storm. 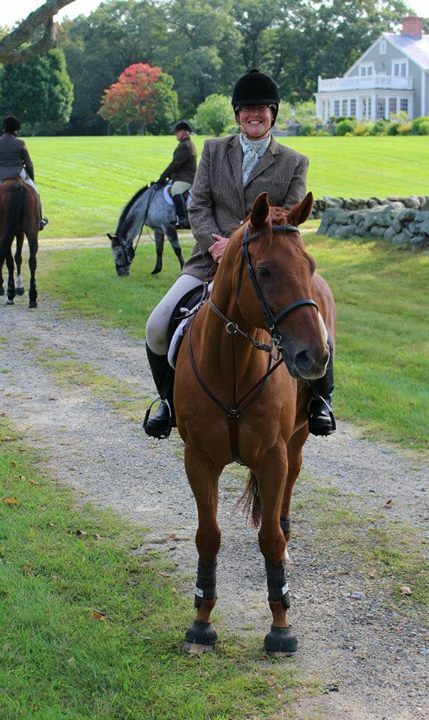 He is always completely relaxed and focused while we wait for the field to gather. He stays calm right until the hounds are cast . . . and then he takes off like a rocket. Today was Freedom’s turn to hunt. I took him out and galloped him a couple of times this week in preparation and figured he was as ready as he was going to be. I love the territory we hunted today. It’s not a long hunt, but it’s very pretty, ending along a small pond that frames the hounds and the field perfectly. Zelda got to hunt today too — with my friend Suzanne. 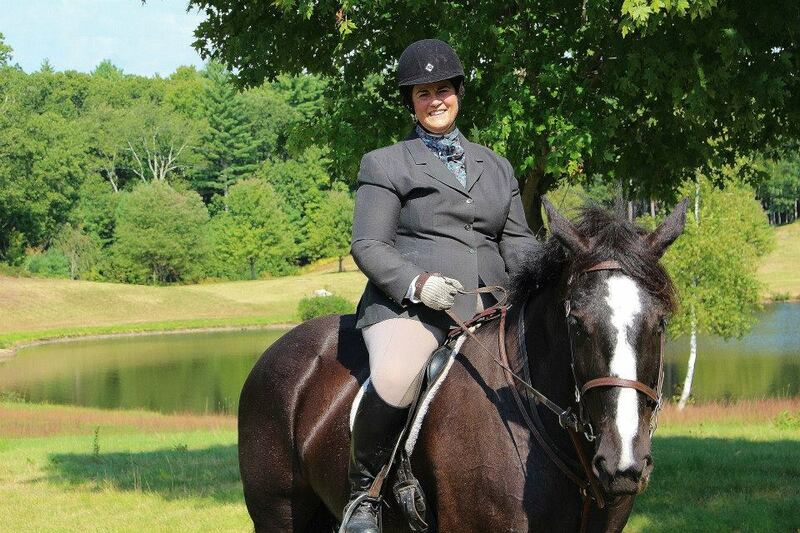 Many of you readers may know her from her blog — Confessions of an AA Event Rider & Convicted Overthinker. Her horse, Sugar, was off today. be out hunting and I’m pleased to say that Zelda was a very good girl! Of course, that has a lot to do with the fact that Suzanne is such a nice rider. Freedom was good too. Sure he had his Tigger moments but he was ratable and well behaved. It’s kind of fun to ride a horse that is so up hill in the way he moves. We jumped a few small fences but I think I need to take him out and let him jump on his own a few times before he will settled down and jump calmly in company. 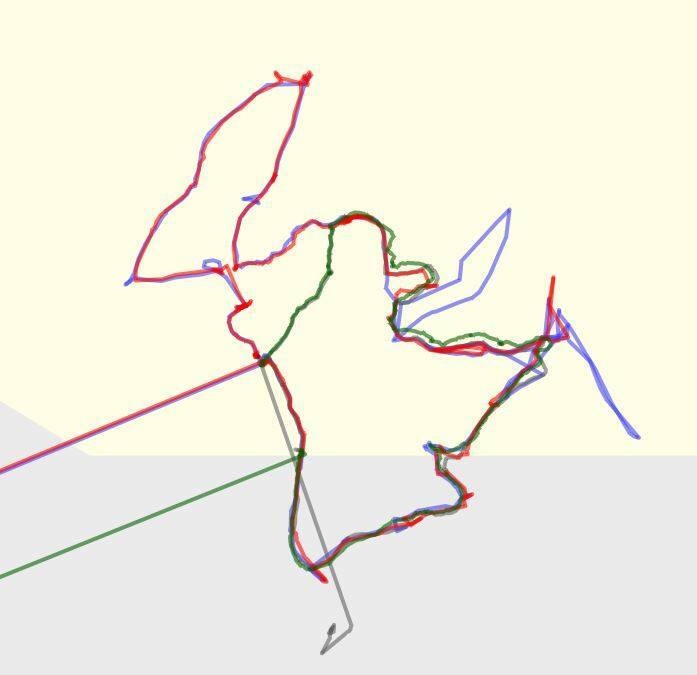 The Green line represents the drag that was laid for the hounds and the other colors track the routes of the individual hounds. The hounds were wearing new tracking collars today. It’s very cool because you can now see where the scent was laid (in green) and how the hounds hunted. Other than a few side trips to explore some special scents, they did a good job of staying on track. Here are the hounds, staff and field coming back from the hunt. True. I am very lucky. Sometimes I have to pinch myself to believe that I can ride in such beautiful places. wow what a beautiful day – glad you got to get both horses out!